Super news: Bambu Live created exclusively to highlight the works of our bamboo master. As he's run various personal and charity activities and not able to work on his Bamboo work by himself. Ecological sustainability claimed today as our highest priority. On the small island without full recycling this subject looks even more important. This story going quite for a while, but still - not much Eco-solutions yet to offer for the mass usage. In this situation we going deeper to bamboo! Bamboo was used for fast cheap constructions ​from the early times. Bamboo grows quickly, its easy in use, and being done properly bamboo lodges can lasts from 1 to few years, with following options to upgrade. Upgrade possible with using clay and additional Eco-materials. We met the Anthony, who's hobby is working with bamboo for recent few years. Travelling around the world, and visiting koh Phangan annually, together with friends he already built a few bamboo lodges with various functions around the island. 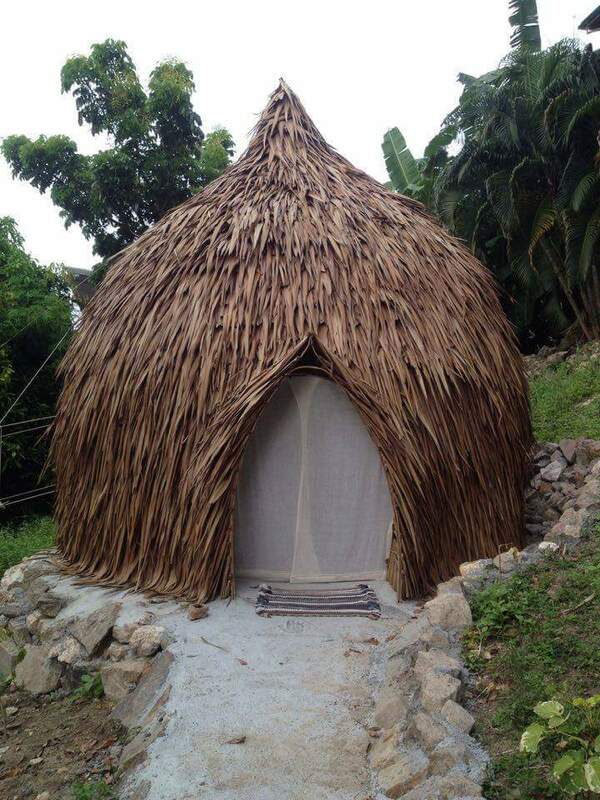 After visiting and staying at some of that bamboo lodges we also believe - this easy in use natural technology is ideal for island Eco-construction and should be more popular on koh Phangan, as well as on other islands and places in SEA. Organic natural outdoor look and harmony of interior space - being round, its creates comfort and coziness - you feel good both to stay there and sleep. Attractive and demanded format for visitors/guests/clients - for example, all people I met said that they would definitely prefer this style of accommodation to the classic hotel room. Time: to construct one lodge Anthony needs about 50 hours of working in-solo. And together with a few helpers he can build the whole bungalow resort in a week! preservative for longer lasting of bamboo and tools. Accommodation - as a part of the Eco-complex with 0-waste facilities, such as Bio-Toilet and solar energy sources it is attractive living space for short-term stay. Temple of Silence - used for meditation-alike practices at healing center, this bamboo house immediately after construction became favorite spot for many practitioners. 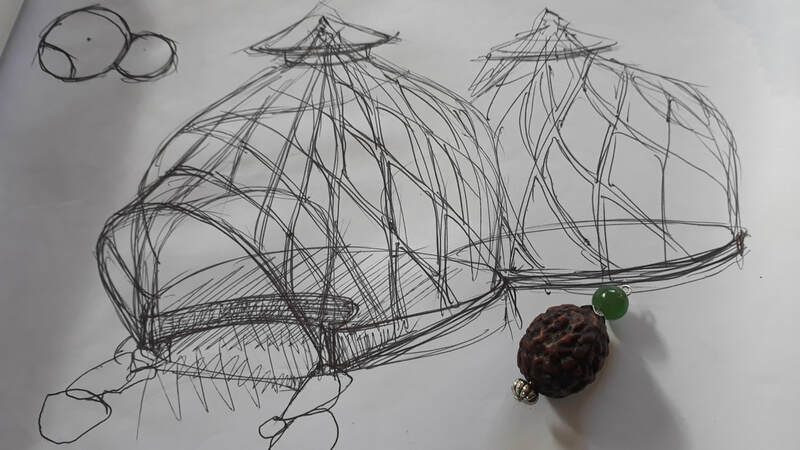 Tea-House - creating proper tea atmosphere in a natural surrounding, with round tea-board in a center. The main limitation of bamboo is a time of use - being done quick, its not lasts long - 1,5 - 2 years (seasons) with current average all-year rainy weather on Koh Phangan - this a a life circle of existed lodges. However its possible to make them more long-lasting, but required more work, materials and funds to spend. Hero of this article Anthony planning to build some of that longer-lasting bamboo lodges very soon, but somewhere outside of island. Let's see, maybe success of existing Eco-lodges will leads to increasing of its popularity and total awareness of the guests of the island - Phangan obviously is too small to continue here commonly accepted massive concrete construction models, majority of which are also not-efficient regarding the profit and even to pay current expenses in a few years time period.